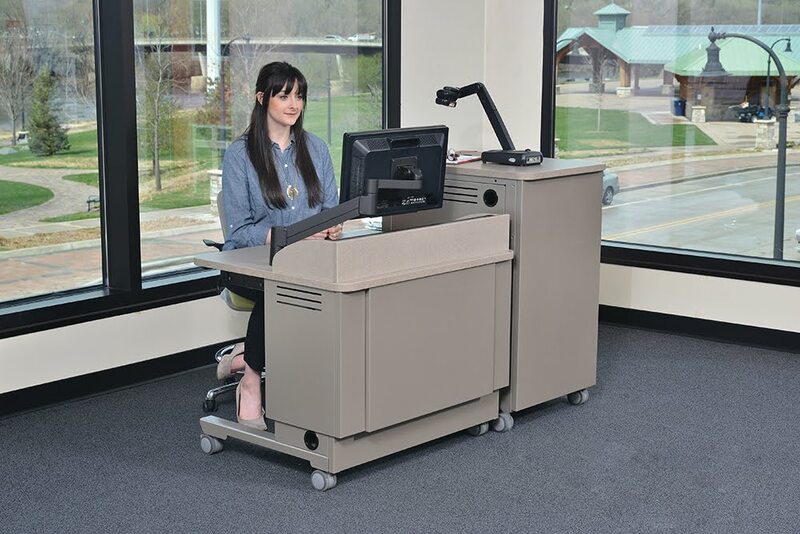 The Freedom One eLift is a comfortable and affordable lectern that allows an instructor to sit or stand, matching the height needs of each person and is fully ADA compliant. 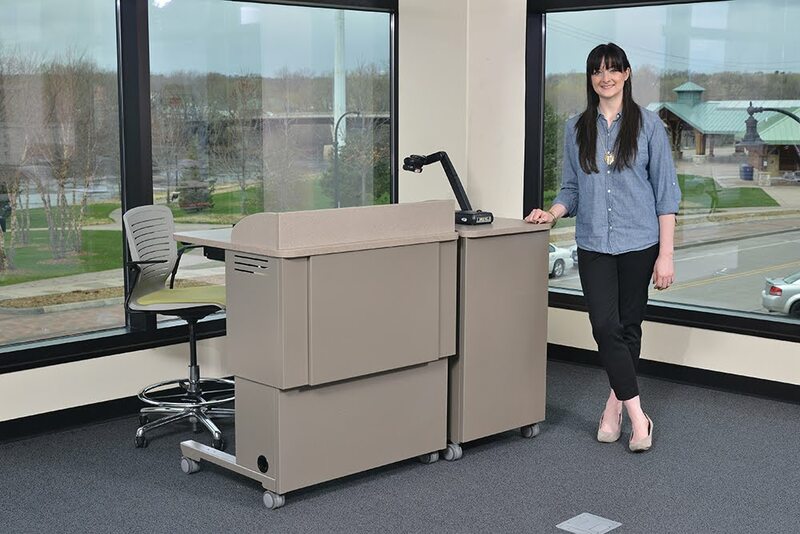 This lectern will adjust in height from 30”-42” at the push of a button offering the perfect height for nearly any environment. • Keyboard tray – flip it over to make a drawer for accessory storage.